Battery M, 1st Ohio, following Stanley’s brigade, is diverted from the march and ordered northwest to a knoll overlooking the Dyer farm. Sirwell’s brigade begins its march northward. 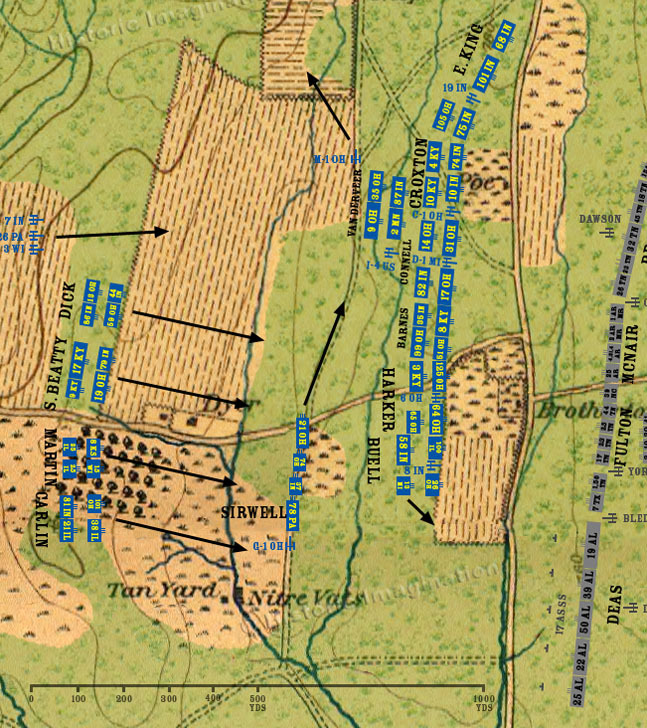 After a brief halt, Davis and Van Cleve’s divisions move forward. Davis is ordered to the right of Wood’s division, while Van Cleve receives the vague orders to insert his division somewhere in the line. Colonel Buell orders his two supporting regiments to the right to give his brigade a broader frontage.